Russian Helicopters will take part in Singapore Airshow 2016, an international military and civilian aviation exhibition, the holding company has said. "For the first time, our company will show its brand new [Mil] Mi-171A2 multirole medium-class helicopter at the Singapore Airshow. 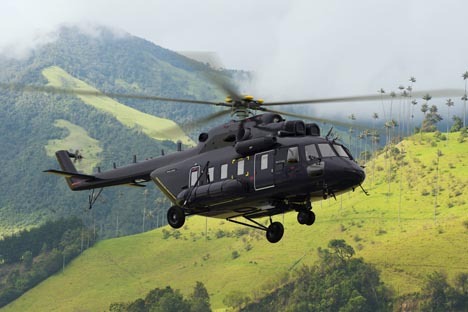 The demonstration of our newest helicopters will enable the Russian holding company to increase the presence of its products on the Southeast Asia market," the company said in a press release obtained by Interfax-AVN on Feb. 15. The line of Russian Helicopters products to be exhibited "includes the biggest number of medium helicopters, both multirole and specialized ones," the company said. The show, which is due to be held in Singapore on February 16-21, is one of central exhibition events in the region. The 24-hectare exhibition space is part of Changi Airport, the company spokesperson said.